Israel occupies imaginative in addition to physical geographies. Zionism therefore reproduces with great efficiency the cultures of recrimination in North America. It is necessary to connect this Zionist presence with the suppression of all radical ideas. Palestinian human-rights activism, which often challenges Zionism, is firmly located in spaces of the political left, particularly among minority communities. Support for Israel, in contrast, exists in sites of authority, often an omnipresent but invisible accoutrement to swivel chairs, mineral water, and mahogany tables. It’s not merely ideological Zionism that leads upper administration to support Israel—or, to be more precise, to entertain and normalize Zionist activism. Palestine solidarity represents democratization, grassroots organizing, anti-racism, and decolonization; it’s deeply involved in ethnic studies and other subversive fields. An upper administrator needn’t be amenable to West Bank settlement to understand the value of Zionism in his line of work.
. . . Zionism is part and parcel of unilateral administrative power. It lends itself to top-down decision-making, to suppression of anti-neoliberal activism, to restrictions on speech, to colonial governance, to corporatization and counterrevolution—in other words, Zionism behaves in universities precisely as it does in various geopolitical systems. What happened at the University of Illinois last summer was a terrible confluence of one individual’s protected but ill-considered free speech and advocacy, with an academic hiring process that is seriously flawed, conflated with long-standing problems that confront achieving true peace in the Israeli-Palestinian conflict. The recent agreement that settled the court challenges between the University and Salaita does little more than sustain badly flawed advocacy and institutional policies. 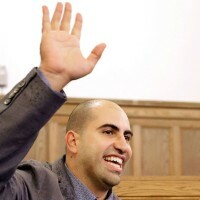 Salaita can continue to claim success as a survivor of a global Zionist conspiracy to silence him, while the University only conveys doubt that it can handle the next conflict between academic freedom and institutional goals any better. And the conflict in the Middle East remains unresolved. The settlement maven Salaita announces his determination to continue to unsettle the world. For Salaita, that means finding Zionism in all places — behind efforts to suppress speech, lurking in university boardrooms on swivel chairs, lending itself to top-down decision-making, suppressing anti-neoliberal activism, embracing colonial governance, corporatization and counterrevolution. Zionism is everywhere, an unseen power, making the world go wrong, underwriting and supporting injustice. Those who question his bonafides or fitness to teach, who research his corpus or interpret his tweets, these too are “Zionist operatives,” part of the unseen power. Zionism explains all, Zionism is behind all. Salaita is a battler against all. Regretfully, UI Urbana Champaign is free of him, but we are not. Something tells me this polemicist will haunt the searches for understanding and for peace for a long time.